Prospective students and parents are being encouraged to attend the final Nelson and Colne College Year 11 Open Event of the academic year – and see exactly why NCC has been rated as the number one college in the country for 16-18 learner achievement. The event, which will take place on Tuesday 5 February between 5.30pm and 7.30pm, will showcase the wide range of outstanding options available to study at NCC – including more than 30 A Level subjects, a variety of excellent, career focused vocational programmes and fantastic Apprenticeship opportunities in a broad range of sectors. It will also give prospective students the chance to enjoy a tour of the campus and view the college’s modern facilities, talk to expert tutors and members of the Careers Team, take part in a range of exciting ‘have a go’ activities and discover more about Nelson and Colne College’s diverse and constantly-evolving extracurricular offer. Information on travel arrangements to and from college and the support available to students at NCC will also be available on the night, as well as some Valentine’s themed goodies. Saleem Iqbal, 19, formally of Colne Primet Academy, is now studying Economics at the University of Bradford after achieving A*AA in Business, Criminology and Sociology. Saleem, from Colne, said: “I chose Nelson and Colne College because of its results and progression and it proved to be the right choice. Former Blessed Trinity RC College student Amy McKeen, 22, from Burnley, now works at FS Accountants in Clitheroe, and completed her Level 4 AAT Accountancy Apprenticeship through Nelson and Colne College. Amy said: “Both Nelson and Colne College and my employer have been incredibly supportive throughout my studies. I would highly recommend an Apprenticeship to anybody thinking about it, as it will help you in achieving your dream career. And vocational student Luke Ashton, 18, previously of St Christopher’s CE High School, progressed on to Keele University to study Forensics and Analytical Investigation after securing Triple Distinction* in his Applied Science (Forensic) course. Principal Amanda Melton said: “Our February Open Event is an opportunity for students and parents across East Lancashire to find out more about the wide range of study options available here at NCC, whether visiting for the first time or returning for another look around. “As always, our friendly and approachable team of talented and dedicated teaching staff will be on hand to take questions, and help prospective students choose the pathway that is right for them and their future aspirations. Nelson and Colne College has been voted by students as the best college in Lancashire for student satisfaction. It is also the number one college in the country for 16-18 learner achievement. Nelson and Colne College has been rated as Outstanding by Ofsted since 2005. 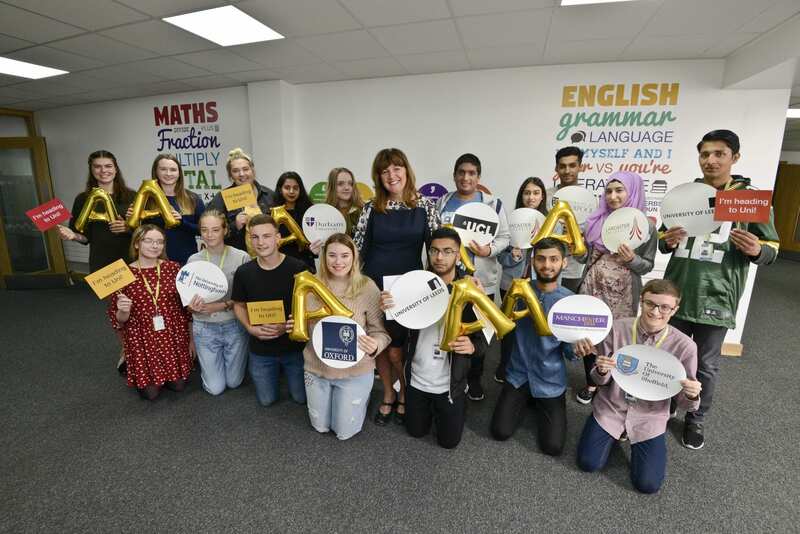 It is number one in the country for A Levels, based on progress scores, and the number one college in the country for overall Apprenticeship achievement, at all ages and levels. Government data also places NCC as the best college in the area for vocational courses, based on progress scores.